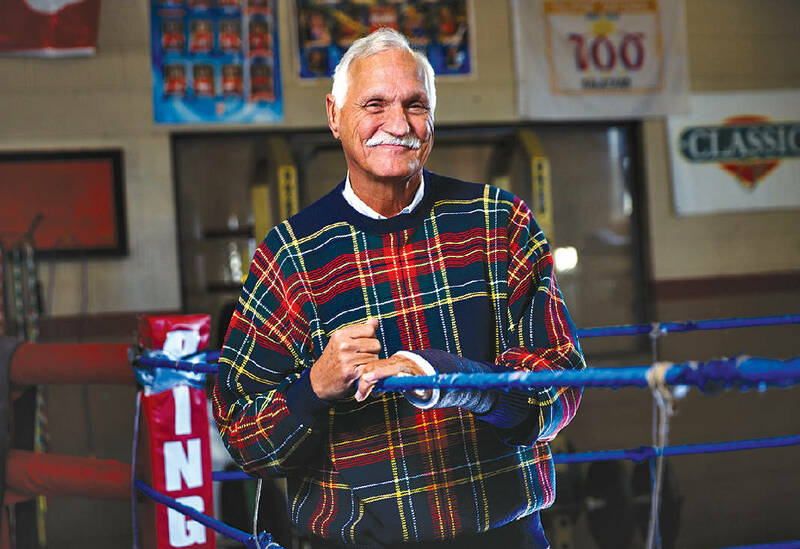 Joe Smith, a caseworker for the Neediest Cases Fund and director of the YCAP ministry program, is photographed in the YCAP boxing gym on Friday, Dec. 9, 2016, in Chattanooga, Tenn.
Joe and Paula Smith spend their lives helping people in need and sometimes they get help from Neediest Cases. The fund assisted a single mom with an intellectual disability to keep her home. The Smiths helped the woman keep her son. "We don't really know what another person is going through all the time," Joe Smith said. "We might see a person begging on the street. But we don't know why they're there. We don't know their story." Smith is among dozens of local caseworkers who have referred clients to the Neediest Cases Fund when they had no place else to turn. Chattanooga Times Publisher Adolph Ochs started the fund in 1914 to help local people. The newspaper publishes stories highlighting the needs of residents and readers respond with financial contributions to meet those needs. Donations to the Neediest Cases Fund will be accepted every weekend in December at The Holiday Market hosted indoors at the Chattanooga Convention Center. Donations can also be made by mail. The immediate need for a North Chattanooga woman with an intellectual disability was getting behavioral support for her son. Problems started when the mother's son hit his preteen years and his intellectual ability surpassed his mother, who functioned with the intelligence of an average 10-year-old, Smith said. She just didn't have the mental ability to control him. He started acting out in school, missing classes. The Department of Children's Services started questioning the mother's ability to care for the boy, making her fear she would lose him. The Smiths stepped in and took the boy to live with them Monday through Friday, making sure he got to school. The couple allowed him to visit his mother every weekend as long as he obeyed her. The boy wasn't intellectually or developmentally delayed, but he was behind academically, Smith said. The school system wanted to put him in special education classes, but the boy saw how people labeled and made fun of his mother. That experience motivated the boy to shun a special education certificate and seek a high school diploma. Paula Smith helped the child with homework while Joe Smith talked to him about respecting his mother and other adults. They kept the boy for five years until he graduated high school with his diploma. Smith said he referred the boy's mother to the Neediest Cases Fund at least once a quarter for rent or utility assistance while he helped the boy. She needed help and had no place else to get it, Smith said. Smith got no financial assistance for taking in the boy, but his mom brought the Smiths a jelly jar full of coins after the boy graduated to thank him. Smith kept the jar on his desk as a reminder of the need in the Chattanooga community and how grateful people can be when needs are met. The jar held $1.19. But Smith said he knew it was all the money the woman had and she wanted to give it because she was thankful for services provided through Smith and Neediest Cases. Contact staff writer Yolanda Putman at yputman@timesfreepress.com or 423-757-6431.